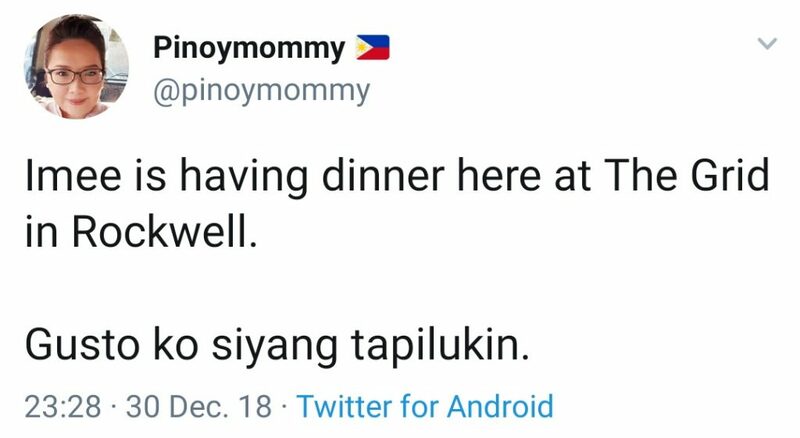 A certain Twitter user @pinoymommy recently got herself into a heap of trouble after she took to Twitter to express a desire to inflict harm on Ilocos Governor Imee Marcos after spotting her dining at a restaurant. Sa mga nagreact about my Imee tweet accusing me of being violent: wala ng mas mas violent pa kesa sa mga taong nagnakaw ng pera ng bayan at nagpahirap sa mga tao. Accusing me of that while supporting the Marcoses is the height of hypocrisy. But, really, this is just a corollary to the pompous calls for “justice” these snowflakes infest their social media timelines with. Being outraged about a “tyrannical” leader does not give one the right to invite violence against another person. 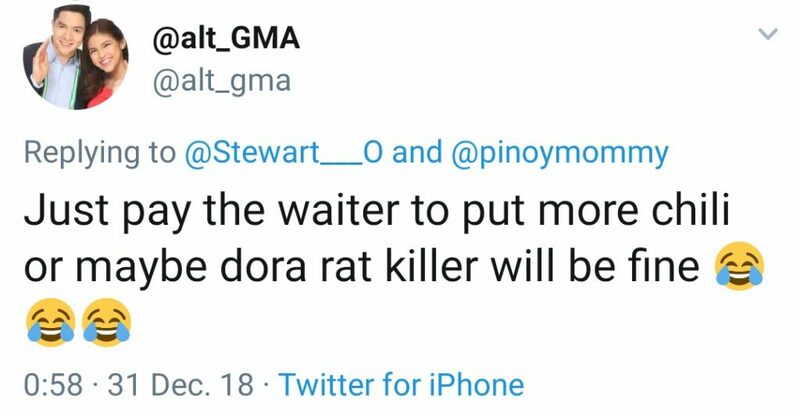 One of her amigas even suggested getting a waiter to add rat poison to that person’s meal. Trust Yellowtards to undermine their own advocacies by being such hypocritical snowflakes who believe they hold a monopoly on righteousness. This is the very attitude that lost them an entire country in 2016. Next Next post: It’s 2019. Time to stop being a HYPOCRITE!